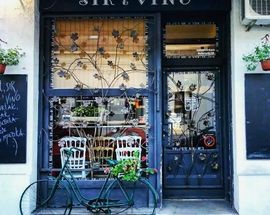 Zemun is a must see municipality in Belgrade, and was actually a separate town less than a century ago. 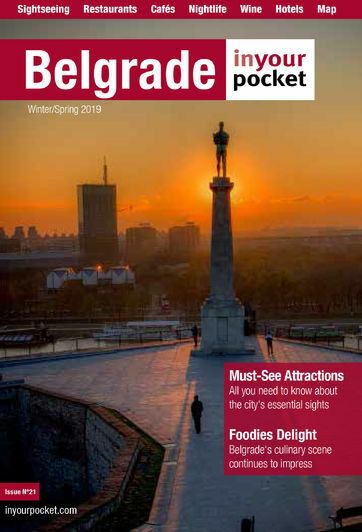 Along with many attractions it has to offer, it's also home to some of the best restaurants, that offer some of the most unique cuisines you can find in Belgrade. You can find our top choices below. 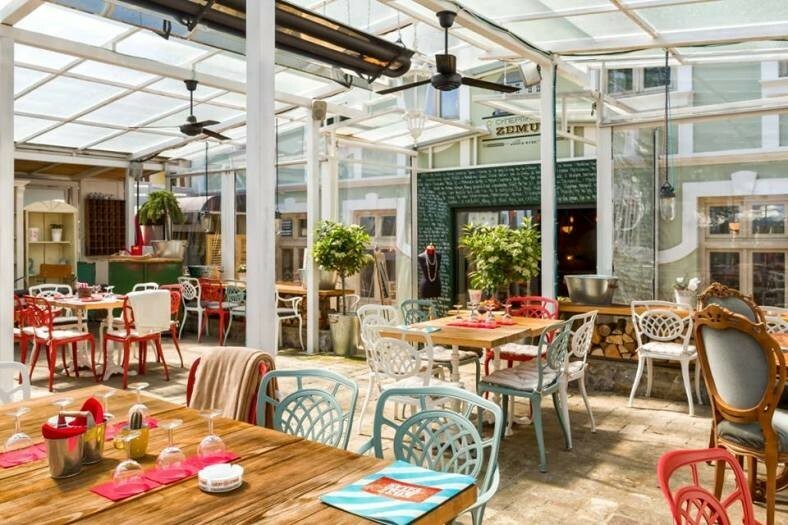 Zemun, one of the most beautiful parts of Belgrade, a city within the city, is now richer by a cool venue, thanks to Supermarket opening Talas on the river shore. Although you will be feeling beach vibes at Talas, you will just be a short drive away from the city centre. 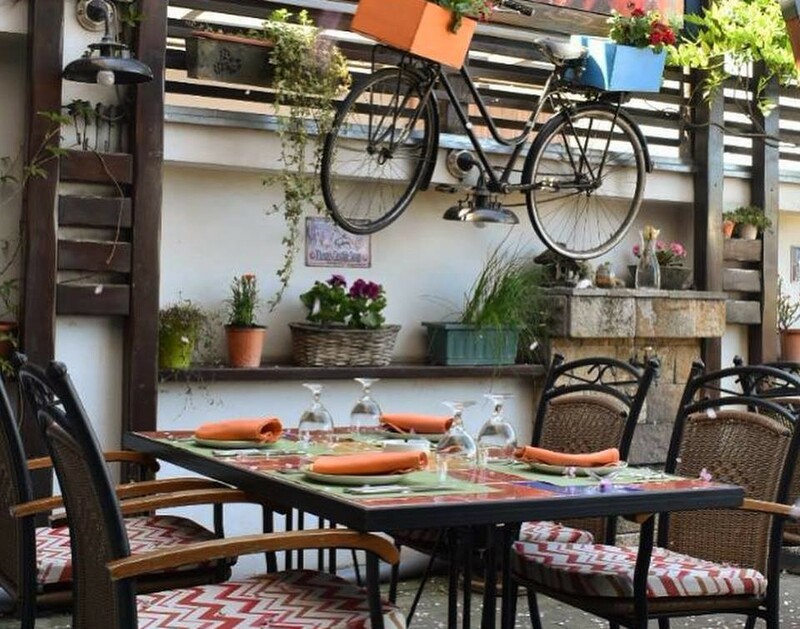 When you find yourself in Zemun, craving finger food, craft beer and other such delights, head over to Talas. 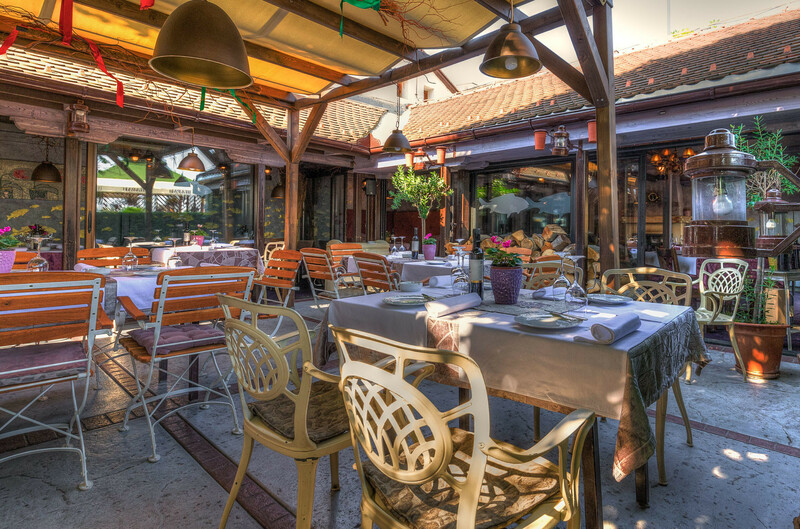 On the banks of the river Danube, near the very heart of Zemun, you can find a unique restaurant called Balkan Express. Now, its name is no coincidence, this place bears that name for a reason. You see, it looks like a wagon, with wooden booths that kind of make you feel like you’ve entered Agatha Christie’s novel. Their terrace features a marvellous views over the river and beyond. 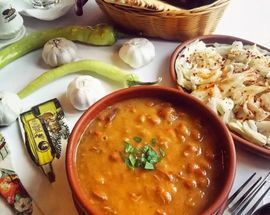 When you're visiting a foreign country, you might want to try other cuisines from time to time, rather than just the traditional local one. 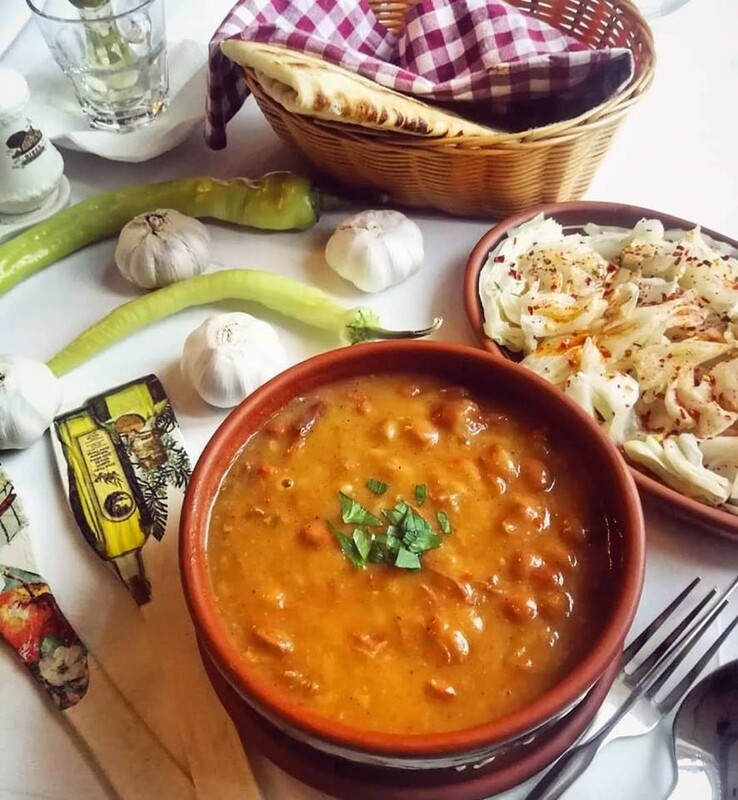 If you're craving Greek food in Belgrade, check out Taverna Piatakia, a Greek restaurant in Zemun. 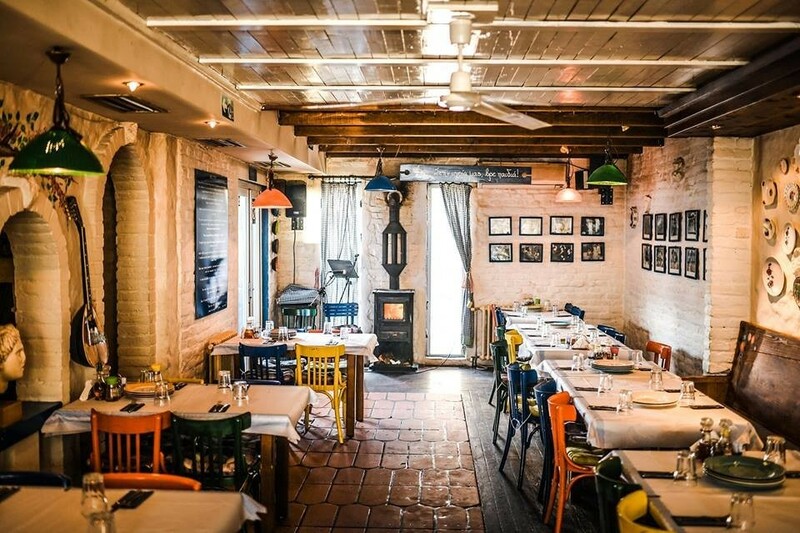 They like to call themselves a ‘Greek Destination’ because everything is Greek, which means so many things and colours to make your head spin, like unique plates on the walls, bright-coloured chairs, but also lovely aromas, and even better food from Greece. 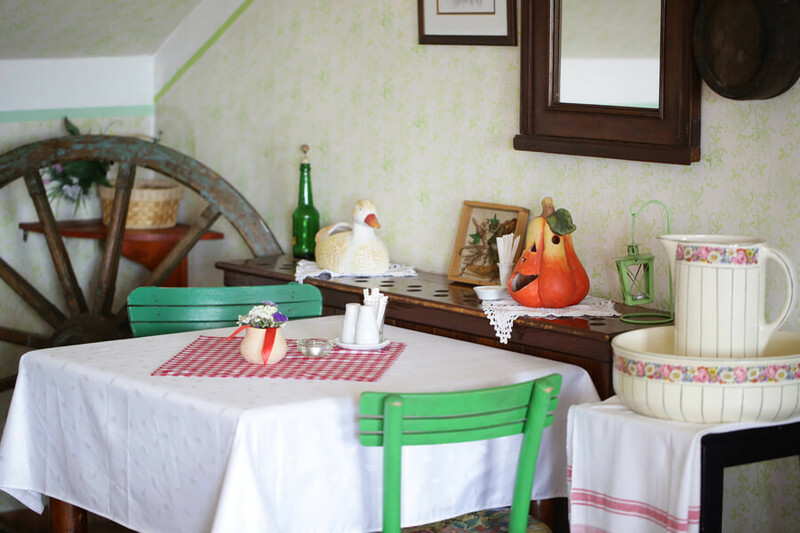 A wonderful duplex restaurant in an old family house in Gardoš. 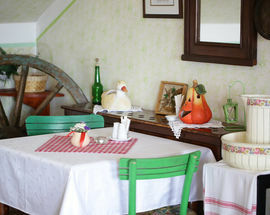 The interior is decorated in bright colours and floral patterns typifying traditional houses. 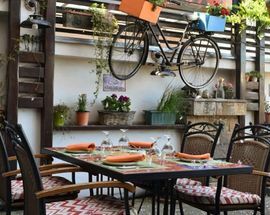 The upper level has a breathtaking view stretching over the roofs of Gardoš, and for an even more rewarding experience try getting a table on the miniature terrace. The food is decent and the portions large. The waiters are friendly but few in number, so if the restaurant is jam-packed, it might take some effort to get their attention. ‘Prosciutto, cheese and wine’ is the translation of the name of this place. Logically, anyone can conclude what to order here: this wonderful trio. But if you aren’t a fan, fear not, for they offer other dishes and beverages as well. The venue is simple yet nice, resembling a wine cellar but cosy, though it’s not underground. 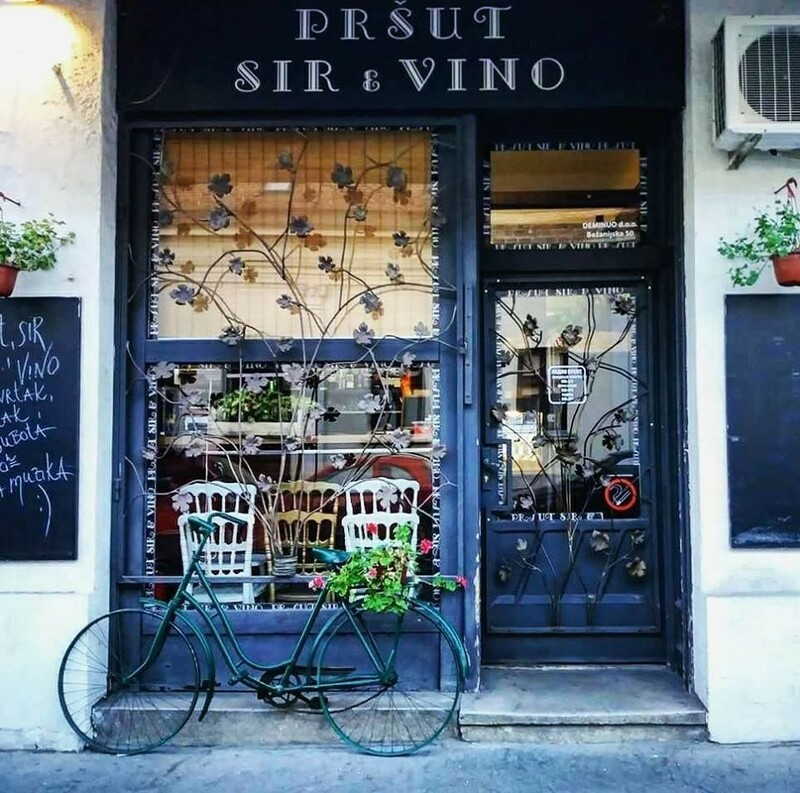 Located in Zemun, on the bank of the Danube, in a pleasing ambience of a new, airy two-storied house with lots of windows. Dark wood, stone, leather and wrought iron create an elegant décor. 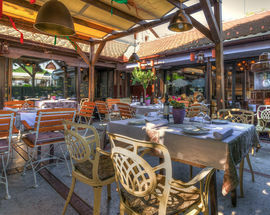 The restaurant is divided in several sections and everyone will find a spot to their liking. 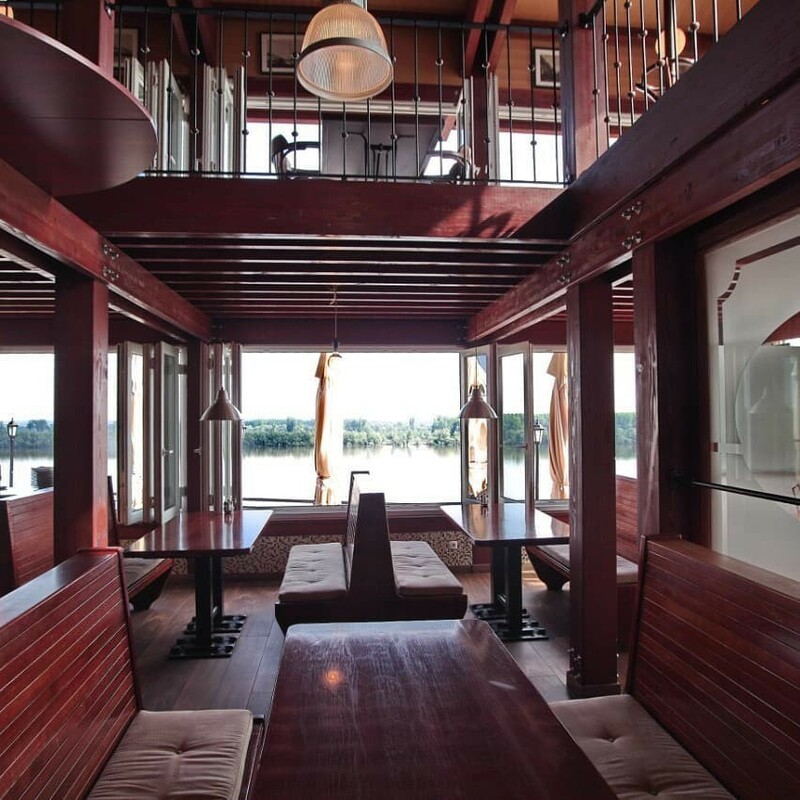 There is also a terrace on the first floor with a great view of the Danube. 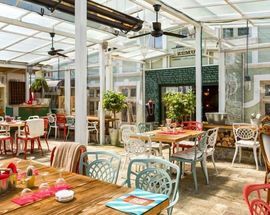 You can try paella and tortilla made to original recipes as the restaurant is owned by a former FC Barcelona football player. 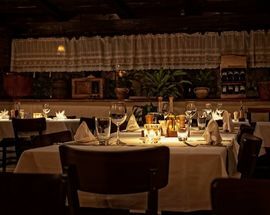 The menu also features chuletón - T-bone steak served on a hot plate with a burner so you can cook it to your preference. 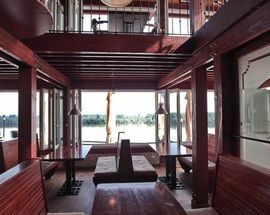 Even from its exterior, you can guess that ABC offers a homelike atmosphere, as it's set in a tiny house in a quiet part of Zemun. 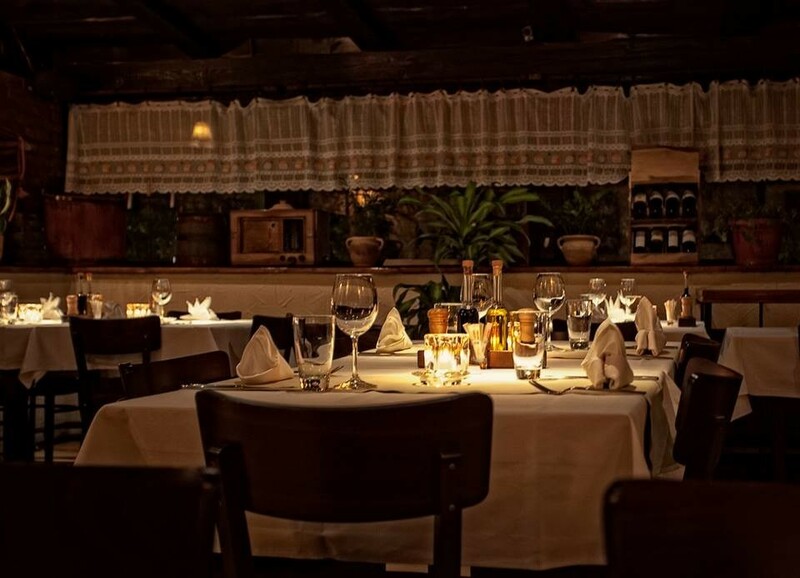 The restaurant doesn’t have a regular menu, but rather, after your drinks are served, the chef himself will approach you with suggestions, and with his help you can make your decision. This is why the food is slow, but definitely worth the time. Ćiribu ćiriba, a phrase almost impossible for anyone but a Serb to pronounce, means ’abracadabra’. And just as its name is very Serbian, so is the place and the service. 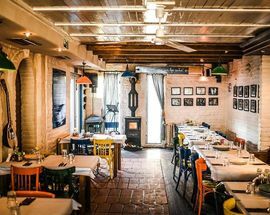 The interior includes an old Serbian cooker, black and white portraits, and many other aged things. Upon entering you will be offered a spoonful of a Serbian jam-like sweet, traditionally considered a welcoming gesture.